If peace and tranquility are what you are searching for, then Creekside Cabins is the place for you. In fact, there are no other buildings around for at least 1/2 of a mile. The cabin is modern and fully furnished on the inside to make sure you are comfortable and relaxed. The outside of the cabin offers the beauty of the Ozark forest, the soothing sounds of a flowing creek, and the privacy you desire. If staying in or around the cabin isn't your thing, don't worry. 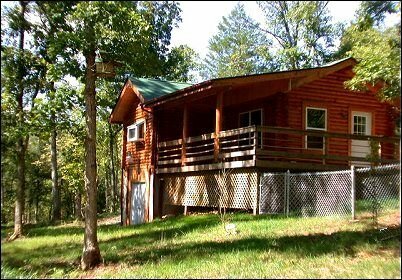 The cabin is located only 10-20 minutes away from plenty of things to do.